Lewis Hamilton continued his level of excellence on the track in the Formula One World Championship, claiming victory at the Italian Grand Prix. The Brit has been involved in a to-and-fro battle with Sebastian Vettel at the top of the standings. However, Hamilton’s recent form has seen him surge ahead of the German as the climax of the campaign approaches. There are seven races left in the campaign following the Mercedes drivers’ triumph at Monza. The pressure on Vettel to reel in the 33-year-old grows by the week. The two men are not just jostling for the title this season, but also to be considered the driver of the modern era. Michael Schumacher dominated the period before Hamilton and Vettel arrived on the scene. 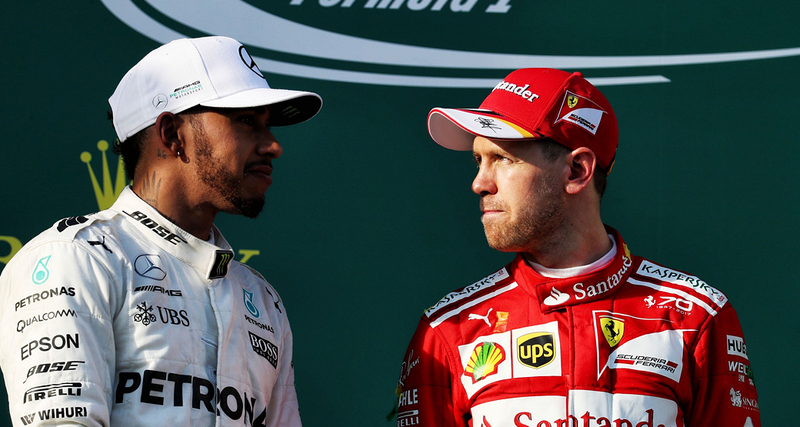 Since then Vettel and Hamilton have been involved in a tense contest, which the German appeared to be dominating when he won four crowns on the bounce between 2010 and 2013. Hamilton’s move to Mercedes shifted the balance of power and now he is closing in on his fourth title in the last five seasons. 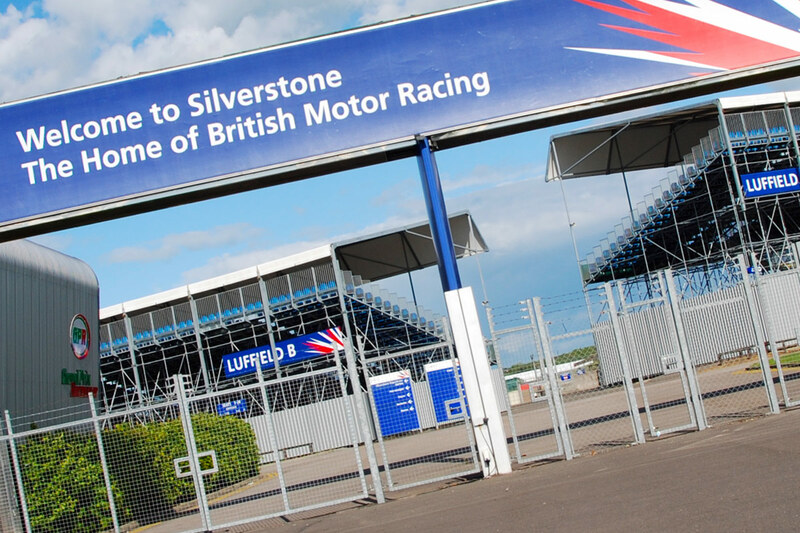 Only one man can stop the Brit from clinching his fifth Championship, with the 33-year-old backed in the latest F1 betting odds at 8/15 to secure the title. Hamilton would be only two Championships behind Schumacher in the all-time honours list. He will have his sights set on ousting the German at the pinnacle of the sport. Vettel enjoyed the fast start to the campaign for the second year in a row, but once again the German has not been able to capitalise. The 31-year-old won in Australia and Bahrain to storm into an early lead. He had momentum on his side, but was not able to fend off the charge of Hamilton. It has become an all-too-familiar story for Vettel. Poor performances in China, Azerbaijan and Spain saw him lose his early advantage. The Brit was able to surge and close to surpass this rival at the top of the leaderboard. It has been the story of the season since then as Hamilton has not relinquished the lead, entering prime form towards the close of the campaign. Vettel threatened to turn the tide when he won the British Grand Prix, ending Hamilton’s imperious run at Silverstone. However, the 33-year-old was able to strike back immediately, winning Vettel’s home Grand Prix at Hockenheim. Kimi Raikkonen claimed pole position in Monza at the Italian Grand Prix as Ferrari eyed a dream double on home soil. 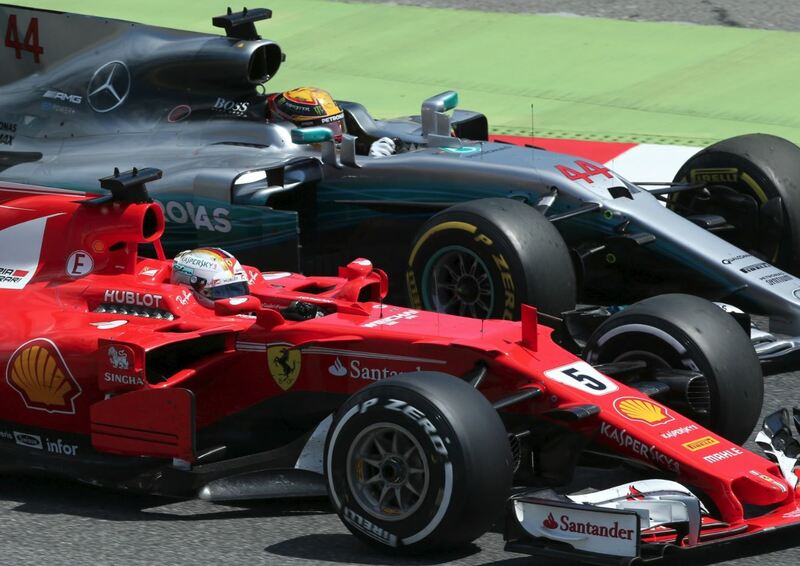 An early collision between Hamilton and Vettel ended that notion, while the Brit went from strength-to-strength on the track. The Mercedes driver finished eight seconds ahead of Raikkonen in second place, while Vettel’s early collision forced him to settle for fourth place. Hamilton’s path to the crown appears to be laid ahead of him. It will take a bad turn of fortune or an incredible surge of form from Vettel to stop the Brit’s quest for five titles. The final seven races of the season could dictate the battle between the two to be known as the driver of the modern era. This entry was posted in Ferrari, Mercedes-Benz, Other News and tagged F1 World Championship, Formula One, Lewis Hamilton, Michael Schumacher, Sebastian Vettel. Bookmark the permalink.